When it comes to new media: what happens in Vegas doesn’t stay in Vegas, it ends up on the social web. 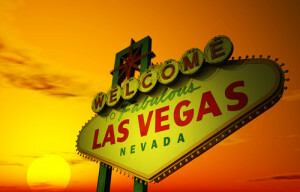 TopRank is pleased to be kicking off 2013 with NMX (formerly Blogworld) in Las Vegas, NV. NMX offers a virtual smorgasbord of new media topics ranging from blogging, podcasting, web TV and video, to social business and beyond. Attendees are in for three days filled with applicable tips, tricks, and tactics that can be applied to their individual marketing strategies. TopRank Online Marketing CEO Lee Odden (@leeodden) will be giving a solo presentation titled “War of Words: Myth-Busting Social, SEO & Content” which which will identify and bust the most common myths about SEO, Social Media and Content Marketing and provide attendees with examples of how an integrated approach to online marketing will win the war for customers. 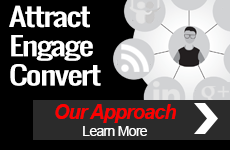 We look forward to seeing you at the upcoming meshmarketing NMX Conference. Be sure to follow the conference buzz on Twitter under the hashtag: #NMX. If you’re interested in learning more about the specific sessions be sure to visit the schedule page on the meshmarketing website. 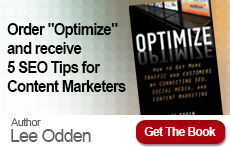 TopRank CEO Lee Odden (@LeeOdden), Marketing Manager Ashley Zeckman (@azeckman) and Content Manager Miranda Miller (@MirandaM_EComm) will all be interacting and and tweeting at the event. Also, be sure to check out @TopRank for those of you who do not already follow us. Toronto image provided by Shutterstock.